Rejection wasn’t my strong suit! I joined my Dad with his company, AC Forms as a sales rep in 1974. We were a force of two. My Mom was the part time administrative support person and the mother of six. I was the future. It was a shaky start. My job was to get new business. I used the phone to solicit appointments. I can remember my voice quaked and my message was ill-prepared. After exhausting all legitimate leads I was proffered, by phone, I hit the road. My first cold call, “cold “ being the vernacular used for an unsolicited visit on an unsuspecting business to make a sales pitch. I was one of the major contributors as to why there are so many “No Solicitors” sign on doors. Like the polyester plaid I was wearing, rejection isn’t my strong suit. I have to admit there were days I could not face the day ahead without becoming physically ill, cramps and vomiting, anticipating the rejection that inevitably lay ahead. For better or worse, most of the businesses I “solicited” on the south side of Chicago, were unaccustomed to a 21 year old young man in polyester and a “pleather” briefcase showing up at their door. My first “sales call” and I use the term loosely, required considerable surveillance. I drove around the block several times. In the end, it was a relief to just to be dismissed. To hear a simple “no thanks” was a victory, of sort. I had broken the sound barrier. I had made contact with the other side. Soon, I was making 20 cold calls in a day. Thankfully gas was 30 cents a gallon! My father would get a call from someone I had visited and he would say, “Yes, that’s my son, he’s like manure, he’s spread all over the place.” The message was loud and clear, I needed to take the next step, get to the next level. Speaking of manure, here’s a great joke from Ronald Reagan, only takes a minute, during one of his speeches. Precious really. Good clean fun! 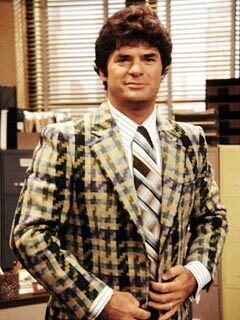 I needed to convince my prospects I wasn’t just another pretty face in plaid polyester. My contacts were bewildered, annoyed, amused, indifferent or thankfully, on rare occasion, sympathetic to my pitch. It’s simply amazing. I became accustomed to the word“no”. I managed to solicit a cadre of variations theme to the extent I began to expect and anticipate the response. I learned to take a “no” and solicit another. As my skin thickened and the manure piled higher, I was able to garner a “maybe” here and there and occasionally a yes! It was the “ying and the yang” thing, “Yes means No” to the extent a Tibetan monk would have been proud. Anyway, my dad fired me. he put me out of my misery! His too. He said I needed more experience. He was right. I was keeping him too busy spinning his wheels. At the time, I was devastated. I finished the blueberry pancakes my Mom had made me. I left town to seek employment near my fiancé, in Racine, WI. I stayed with the in-laws while looking for work.